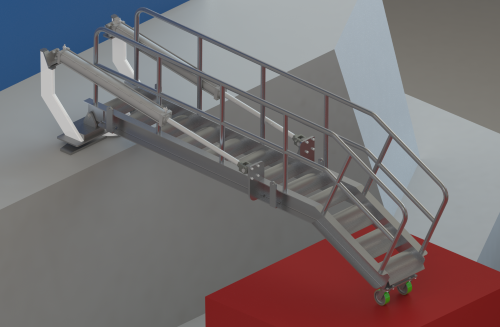 Heavy Duty Structural Aluminum Ladder with curved treads. Customized lengths and widths to suit your application. 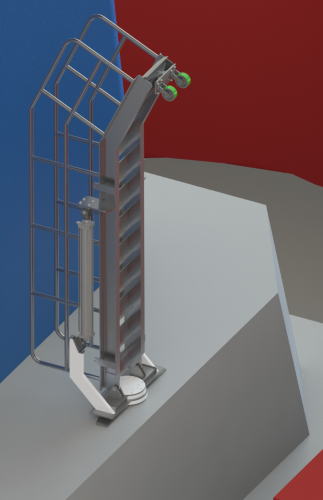 Pneumatic Cylinder Deploying / Stowing System. Slewing Bearing Base Attachment.